If you’ve recently been charged with possession of marijuana, you’ll need the help of an attorney experienced with Indiana’s marijuana laws to prevent a conviction from affecting your future. While other states have begun legalizing possession in small amounts, this isn’t the case in Indiana. Even if the amount you are accused of possessing is legal in another state, you can still find yourself criminally charged in Indiana. This is even true if your marijuana was acquired for medicinal purposes while out of state. The state takes all drug charges seriously, therefore you should do the same. At Razumich & Delamater we will research the circumstances of your case to determine whether the evidence gathered against you was legally obtained, and we will make sure that you are being treated fairly by the system. 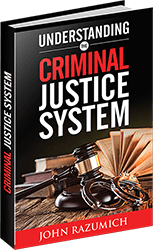 We will work to either reduce or eliminate the most serious penalties you might face. If you or someone you know was charged with a marijuana offense, contact us today to find out how we can help.